Welcome to the column where we talk about Punisher Season 2. 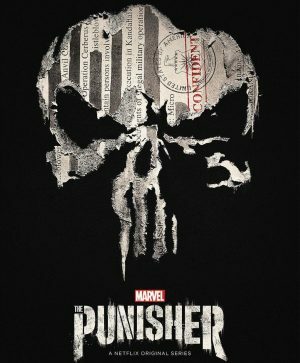 If you didn’t know, Punisher Season 2 was released on January 18, 2018. Now it is well known Netflix has cancelled Daredevil, Luke Cage and Iron Fist. So, the idea that this is the end for the Punisher too is quite clear to people. But this isn’t about that, at least not yet. This is about the continuation of a great series that had a great first outing. Frank Castle aka the Punisher is a marine veteran who gave up the army life and returned home. It was brutally cut short when a gang war ripped apart his family, killing his wife and kids. 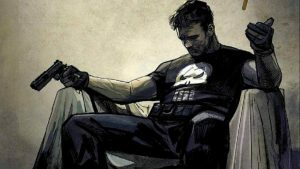 That day, Frank Castle effectively died, and the Punisher was born. You see, it was that final nail in the coffin after so many army assignments of seeing the worst in the world that made something inside Frank Castle snap. He became a vigilante, he started killing people in the most brutal ways possible, but he had a moral code that he would follow. That anybody kills should have done something to deserve it. 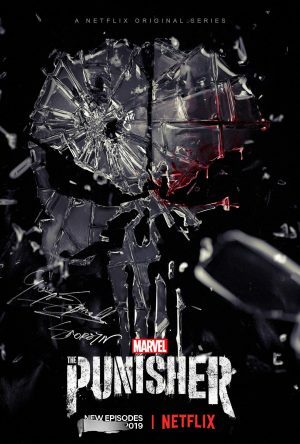 The Punisher is one of Marvel’s most iconic anti-heroes and the most brutal one; Frank Castle has eluded the Avengers, the Defenders, Spider-Man and continues his war on terror and crime uninterrupted. Where was Frank Castle in Season 1? The show took some more liberties with the source material. First, the random killing wasn’t a random gang war gone wrong, it was supposed to be a police sting operation where they didn’t want to evacuate the civilians to keep their cover intact. Later, it became clear there was a much larger force at work and it was all about Frank Castle. Frank Castle and his army life and the secrets he learned there were enough for various criminals to want to silence him. The intended target was Frank Castle and the cruel irony was that Frank was the only one who survived. He was aided on his task by fellow fugitive, Micro, who faked his death to protect his family. The Season 1 twist was that Frank’s most trusted friend and confidante, Billy Russo, was one of the men who was behind this massacre; when Frank finally learns this, Billy and Frank go head to head in the same place where Frank’s family was killed. After a long and brutal fight, Frank disfigures Billy’s face and elects to not kill him and make him suffer the cost of every evil deed he had done. At the end of Season 1, Micro gets reunited with his family and gets his life back. Frank Castle is pardoned by the FBI and set up with a new identity. In a poignant heartfelt ending, Frank admits that he is scared now that he no longer has a war to fight. Frank becoming the Punisher again, that is obvious. Something or someone is quite obviously gonna do something that would make Frank leave the quiet life he would have set up. There is also the return of Billy Russo in the form of his full villain form as the Jigsaw. There is going to be some more brutal fights and rematches to expect. There are also going to be some new faces and some returning faces with Karen Page being one of the high-profile returns. Ok, now you’re ready for Punisher Season 2! 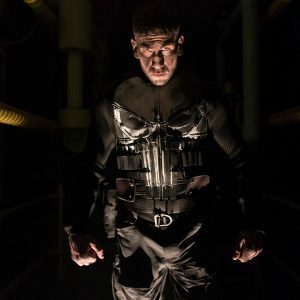 Whether this ends up as the last season or doesn’t, I am hyped to get another season of the Punisher and I really hope it is another good showing. 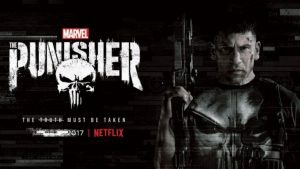 Arriving on Netflix last week, The Punisher Season 2 stars Jon Bernthal as Frank Castle, Ben Barnes as Billy Russo, Amber Rose Revah as Dinah Madani, Deborah Ann Woll as Karen Page, Jason R. Moore as Curtis Hoyle, Josh Stewart as John Pilgrim, Floriana Lima as Krista Dumont and Giorgia Whigham as Amy Bendix.